For more than 30 years, Winnipeggers have come together, in June, to march for peace. In doing so, we strive to educate our neigbours about the the roots of war and to keep alive the message that peace and social justice are inextricably interwoven. This year, we dedicated the festival to our longtime friend and comrade in the struggle for peace and justice, Nick Ternette. 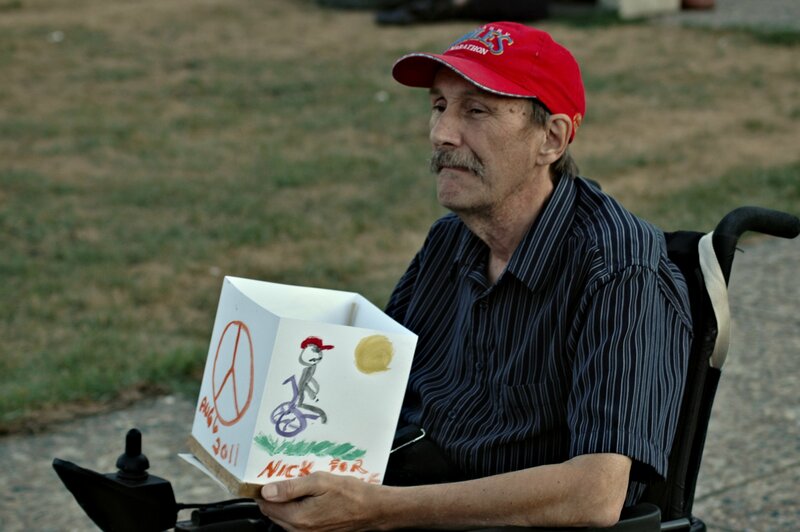 Politically active in many arenas, Nick worked for social justice until the end of his life, despite the health challenges that ultimately caused his death on March 3rd, 2013. Featured speakers at this year’s event included political activist Emily Ternette, who provided a loving tribute to her departed husband, and David Barsamian, host of the weekly American political affairs program, Alternative Radio, which has been running for 27 years. In addition to the speeches of Emily Ternette and David Barsamian, my video report includes a brief interview with Nick, held as we marched along during the 2012 Walk for Peace.